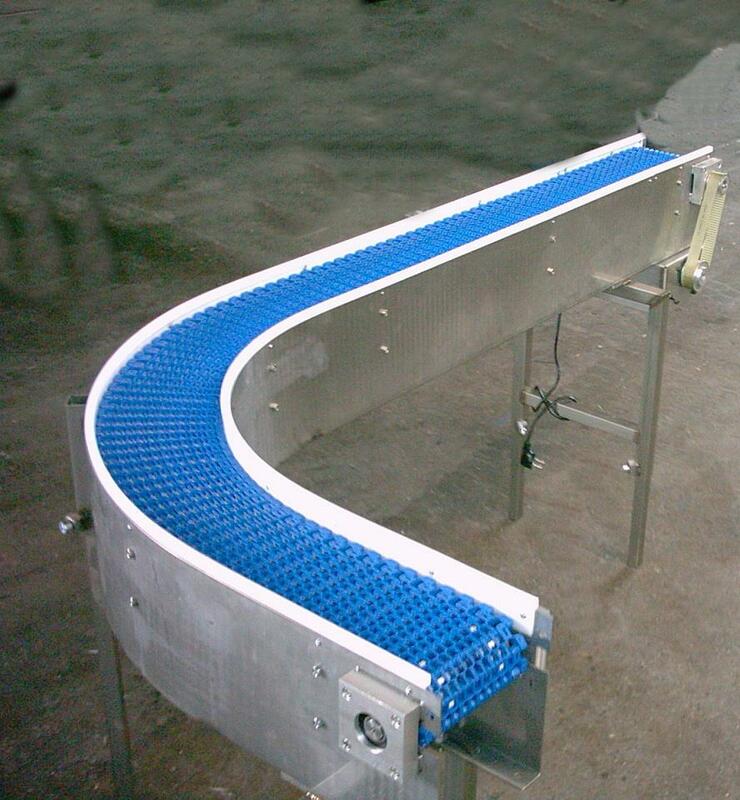 Curved conveyor allow a more compact layout for long weighing/packaging lines. Length: Standard 300 mm for infeed and for outlet area. Other lenght on request.